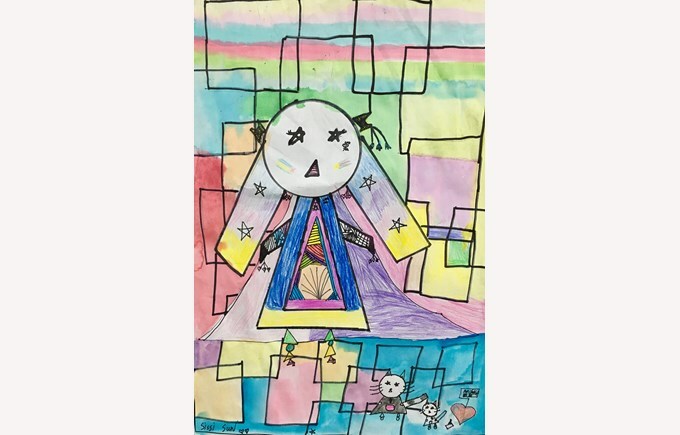 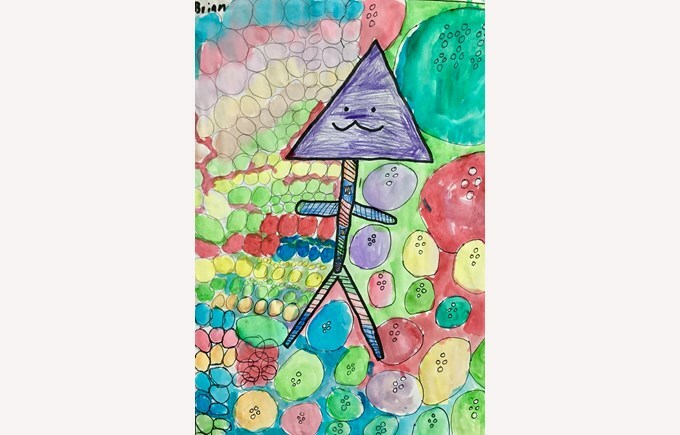 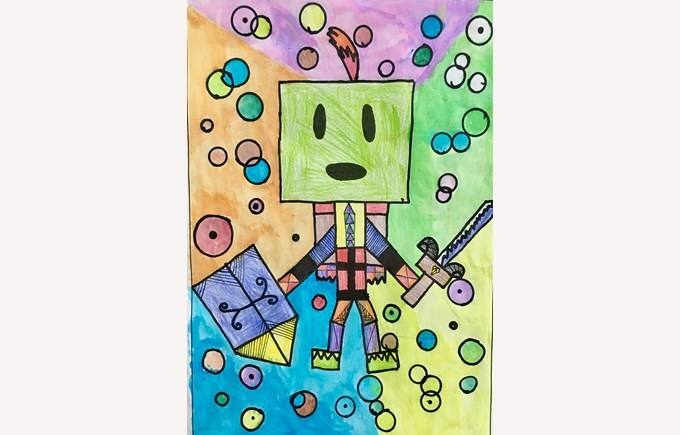 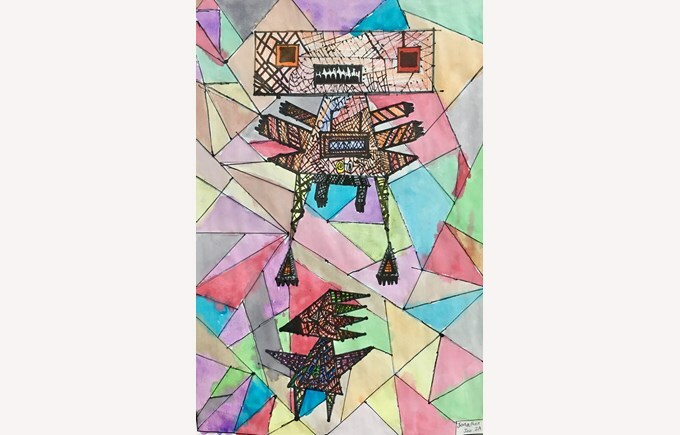 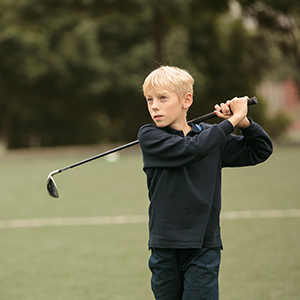 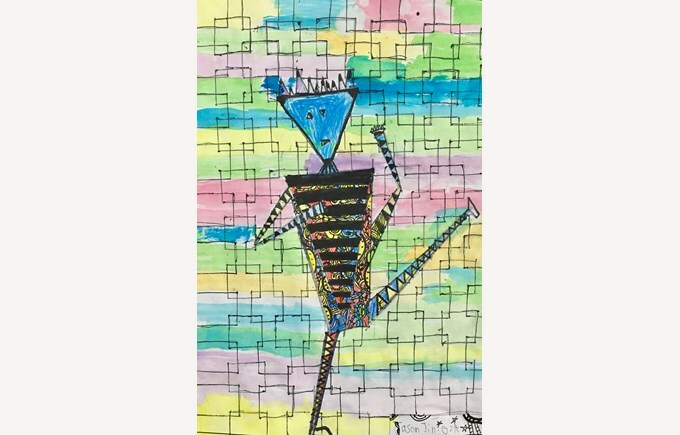 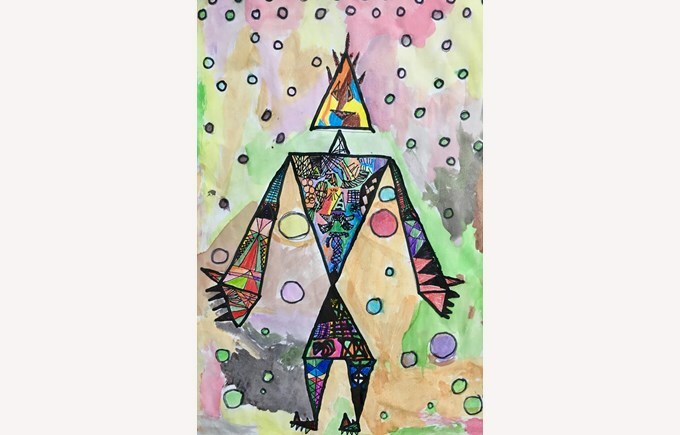 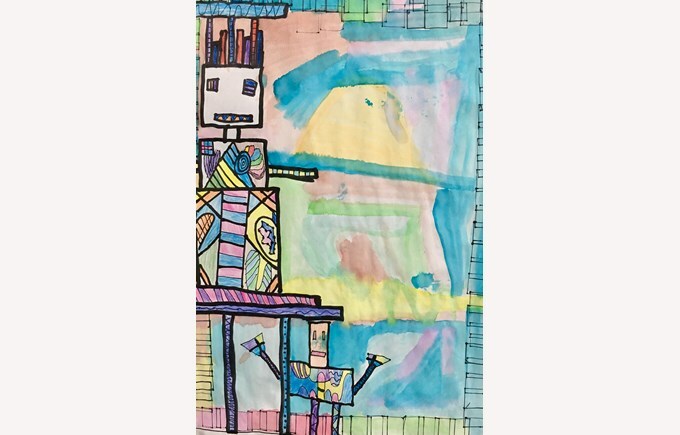 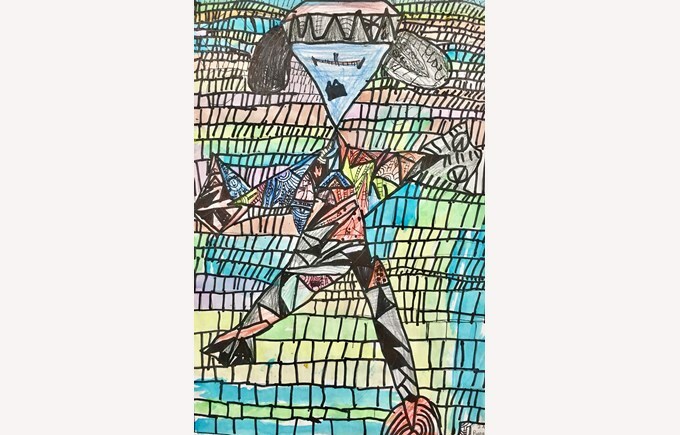 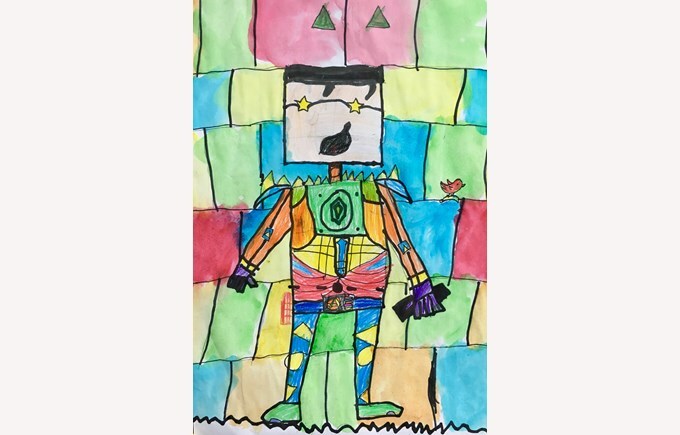 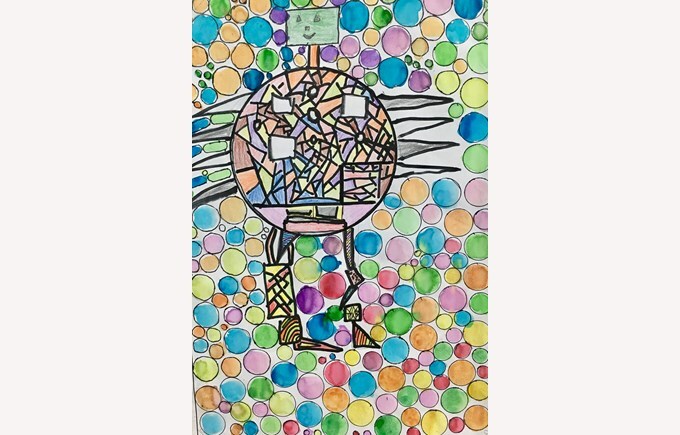 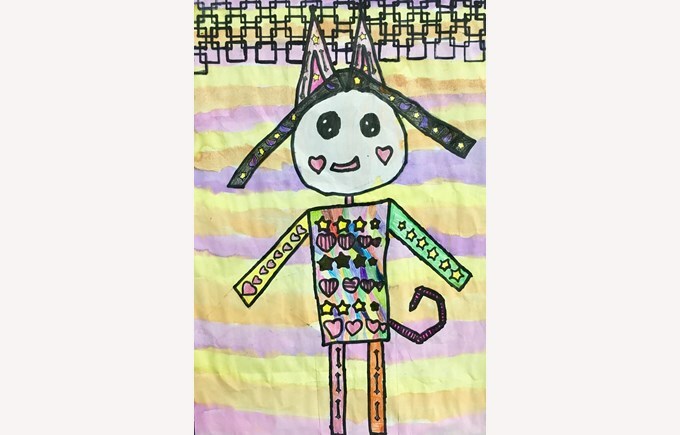 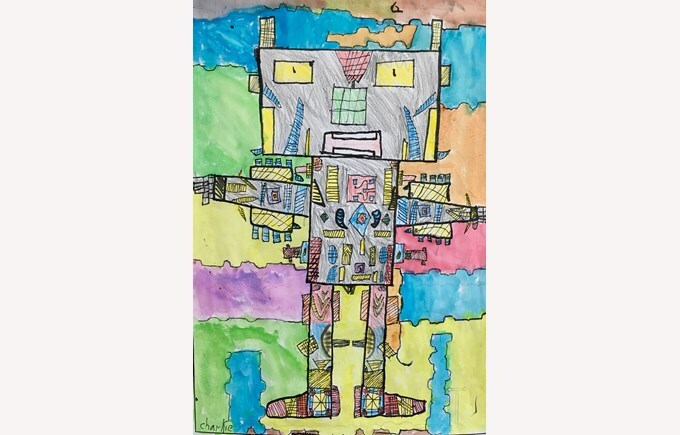 Grade 2 Figures – Connected to their IPC “How Humans Work” Unit, students represented a human figure using shapes. 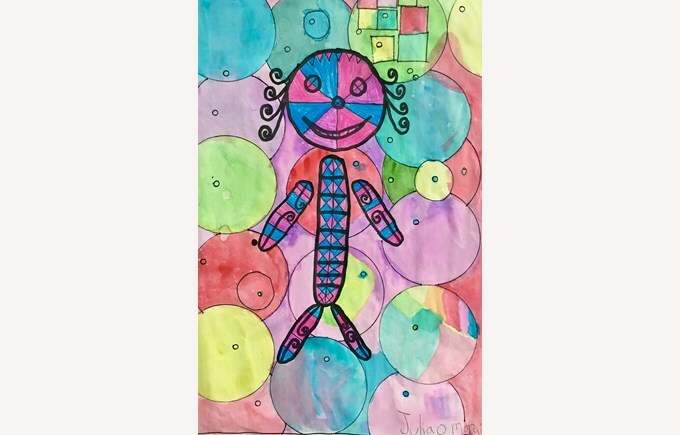 Patterns were also created using shapes and lines. 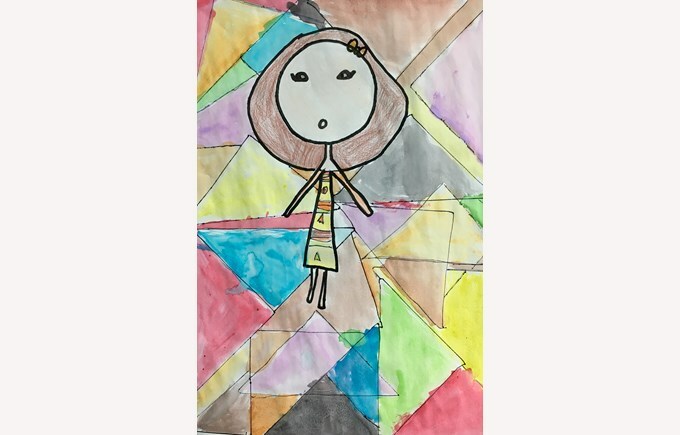 Media used were markers, coloured pencils and water colours.